.NET Core 1.1 – including ASP.NET Core and Entity Framework Core – was just released at the time of the Connect(); event. With it came some interesting features and improvements. 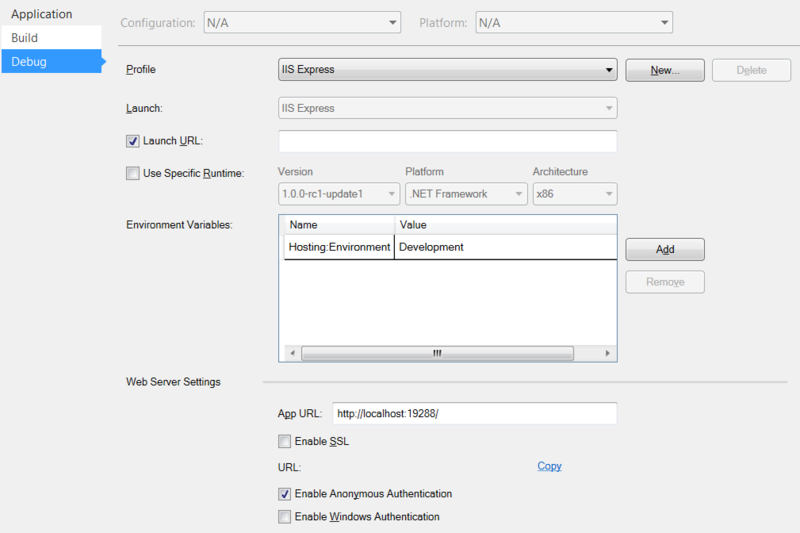 Before you start using version 1.1 you need to make sure you install the .NET Core 1.1 SDK from https://www.microsoft.com/net/download/core. If you don’t, some stuff will not work properly. In version 1.1 you can now treat View Components like Tag Helpers! Not sure why they did this, but I guess it’s OK.
You new have URL rewriting middleware that can consume the same configuration file as the IIS URL Rewrite Module. Also new is Caching middleware, bringing what was Output Cache in ASP.NET Web Forms to Core Land. GZip compression is also starring as a middleware component. Middleware components can now be applied as global attributes. Seems interesting, but I don’t know how this works, because we can’t specify the ordering. Next big thing is WebListener. It’s another HTTP server, but this time tuned for Windows. Because it this, it supports Windows authentication, port sharing, HTTPS with Server Name Indication (SNI), HTTP/2 over TLS (on Windows 10), direct file transmission, and response caching WebSockets (on Windows 8 or higher). Temp data can now be stored in a cookie, as with MVC pre-Core. You can now log to Azure App Service and you can also get configuration information from Azure Key Vault. Still on Azure, you can make use of Redis and Azure Storage Data Protection. Finally, something that was also previously available is view precompilation. Now you can build your views at compile time and get all errors ahead of time. Not all is here, though: for example, mobile views are still not available. 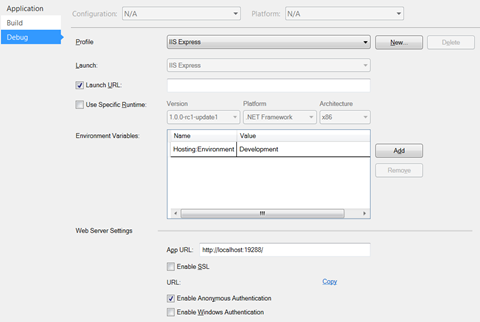 More on https://blogs.msdn.microsoft.com/webdev/2016/11/16/announcing-asp-net-core-1-1 and https://github.com/aspnet/home/releases/1.1.0. The Find method is back, allowing us to load entities by their primary keys. As a side note, I have published a workaround for this for the initial version of EF Core 1.0. Same for Reload, GetModifiedProperties and GetDatabaseValues. Explicit loading for references and collections is also here. Connection resiliency, aka, the ability to retry a connection, also made its move to version 1.1, similar to what it was in pre-Core. Totally new is the support for SQL Server’s Memory Optimized Tables (Hekaton). Now we can map to fields, not just properties! This was an often requested feature, which helps follow a Domain Driven Design approach. Also new is the capacity to change a specific service implementation without changing the whole service provider at startup. There are more API changes and apparently LINQ translation has improved substantially. Time will tell! A lot is still missing from pre-Core, see some of it here. More info here: https://blogs.msdn.microsoft.com/dotnet/2016/11/16/announcing-entity-framework-core-1-1 and here: https://github.com/aspnet/EntityFramework/releases/tag/rel%2F1.1.0. First of all, .NET Core 1.1 can now be installed in more Linux distributions than before and also in MacOS 10 and in Windows Server 2016. The dotnet CLI has a new template for .NET Core projects. .NET Core 1.1 supports .NET Standard 1.6. Lots of performance improvements, bug fixes and imported APIs from .NET full. Read more about it here: https://blogs.msdn.microsoft.com/dotnet/2016/11/16/announcing-net-core-1-1/ and here: https://github.com/dotnet/core/tree/master/release-notes/1.1. MVC 6 should be out any day, so we need to be prepared. This one is a corollary from the latter: Web.config is gone; let’s face it, it was a big beast, so it’s better to just drop it. On the other hand, we will need to learn a lot of new stuff, namely, a whole lot of new interfaces and base classes to use. Also, it may sometimes be a bit tricky to find out which Nuget package contains that specific API we’re after. And because there is no more System.Web, all of the infrastructure management is very different. Finally, not all the libraries we’re used to will be immediately available for .NET Core, but that’s really not a problem with ASP.NET Core itself. All in all, I think it is a good thing! I’ll be talking more on ASP.NET Core, so stay tuned! However, because MVC is so extensible, it is very easy to achieve it. For that, we need to build a custom model binder and apply it to our action method parameter. We’ll assume that the content will come as JSON from the HTTP POST payload. Note that this does not happen with Web API, but still happens with MVC Core! Other options include value providers, but let’s skip those. Nothing fancy here; it will check to see if both the Accept and the Content-Type HTTP headers are present and set to application/json, the official MIME type for JSON, before parsing the posted content. If any content is present, JSON.NET will parse it into it’s own object. The UseModelName property is used to bind to a specific property of the payload, for example, say you are binding to a parameter called firstName, and you want it populated with the contents of the firstName field in the payload. In our case, we don’t need it, we want the whole thing, so it is set to false. And that’s it. This is one of what I consider to be ASP.NET MVC flaws, and they will deserve another post, soon. Web API already solves this problem, but it is still there in the future version of MVC Core, and can be solved in the same way. I have blogged extensively about Data URIs in the past. It allows us to render external contents inside of the page’s HTML, avoiding additional HTTP requests, but enlarging the HTML to serve. Sometimes, it does make sense, especially because the whole page can be made cacheable. MVC does not offer any mechanism for serving images as inline Data URIs, and that is the reason for this post! You can see that I only support three image formats: JPEG, GIF and PNG. These are the safe formats that can be rendered by all browsers. The format is inferred from the file name’s extension. The InlineImage method takes a local file name that will be considered from the site’s root, and an optional collection of attributes. If present, these attributes are added to the generated IMG tag as-is. This code works as is in ASP.NET MVC Core, but can be easily changed to work in MVC 5 or prior: just use Server.MapPath to get the physical address of the file to load. I recently faced a curious problem: I was using a third party IoC container in an MVC 5 (ASP.NET 4. *) app. In it, I had registered a service with a lifetime of transient, meaning, each resolution would return a different instance. Or through the Controller.Resolver property, which, I thought, pointed to the same as DependencyResolver.Current. I was using Controller.Resolver to resolve a service, but, after the first resolution, I would alwas get the same instance! It turns out that, by default, Controller.Resolver does not resolve to the same as DependencyResolver.Current, but instead uses an internal implementation that caches resolved services(DependencyResolver.CurrentCache, an internal property)! This means that it is virtually unusable with any lifetime other than singleton! Use constructor injection to inject the service into the controller’s constructor. If you were to ask me, I’d go for option #3. One of my favorite features in ASP.NET 5 / MVC 6 is View Components. Like I said of Tag Helpers, I think they are what MVC was missing in terms of reusable components. View Components are similar to partial views, except that they don’t have a visual design surface; all of its contents must be produced by .NET code. Only “tangible” content can be returned, no redirects, or any other contents that require HTTP status codes. A View Component needs to either inherit from ViewComponent (no API documentation yet) or be a POCO class decorated with the ViewComponentAttribute. If it inherits from ViewComponent, it gets a lot of useful infrastructure methods, otherwise, it is possible to inject some context, such as a ViewContext reference. As you can see, a View Component can take parameters, any number, for that matter, and, by convention, its entry point must be called Invoke, return an instance of IViewComponentResult, and here is where its parameters are declared. Notice that this uses a POCO class that does not inherit from ViewComponent. However, the Razor syntax will be exactly the same, because of the Name passed in the ViewComponentAttribute attribute. It basically only needs to be public, concrete and non-generic. This makes it very easy to register View Components that are declared in different assemblies. Update: In the latest version of ASP.NET 5, the GetChildContextAsync, that was previously available in the TagHelperContext class, is now in TagHelperOutput. Helper methods cannot be easily extended. Fortunately, ASP.NET 5 offers (good) solutions for these problems, in the form of Tag Helpers and View Components! This time, I’ll focus on tag helpers. A tag helper behaves somewhat like a server-side control in ASP.NET Web Forms, without the event lifecycle. It sits on a view and can take parameters from it, resulting on the generation of HTML (of course, can have other side effects as well). Having a well-known structure, like, self-closing or without ending tag. All COMPONENT tags declared inside a COMPONENTS tag. ValidationSummaryTagHelper: outputs a validation summary. ProcessAsync: same as above, but executes asynchronously. You can see that I am redefining the output tag, in this case, to DIV, and, also, I am clearing all content and replacing it with my own. Now, let’s see a full example! Microsoft makes available for developers the Bing Translator API. It allows, at no cost (for a reasonable number of requests) to perform translations of text through a REST interface (several API bindings exist that encapsulate it). Let’s implement a tag helper that will automatically translate any text contained inside of it. In order to use this API, you first need to register at the Microsoft Azure Marketplace. Then, we need to create a Marketplace application. After we do that, we need to generate an authorization key. There are several tools that can do this, in my case, I use Postmap, a Google Chrome extension that allows the crafting and execution of REST requests. Here, what interests us is the <access token> value. This is what we’ll use to authorize a translation request. The value for expires_in is also important, because it contains the amount of time the access token is valid. The <target language> and <text> parameters are mandatory, but the <source language> one isn’t; if it isn’t supplied, Bing Translator will do its best to infer the language of the <text>. Authorization should be sent as a request header. Of course, do replace <access token> by a proper one, otherwise your calls will always fail. And now let’s see it all together. I hope I managed to convince you of the power of tag helpers. They are a powerful mechanism and a welcome addition to ASP.NET MVC. Looking forward to hearing what you can do with them!